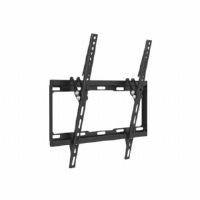 Tripp Lite�s VESA-compliant DWM1742MA Full-Motion Flat-Screen Wall Mount offers full-motion articulation and can free up valuable space in your workstation by allowing you to effortlessly reposition your display at any time, even after installation. 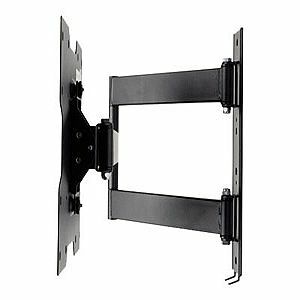 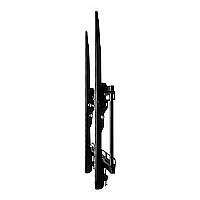 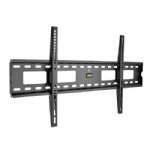 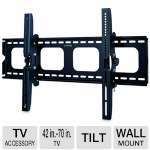 Its sleek design features convenient one-touch display adjustment with tilt and swivel capabilities and fits most 17- to 42-inch flat-panel displays. 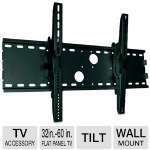 Its durable, all-metal frame with scratch-resistant, powder-coat finish withstands the stress of repeated use and blends easily into any d�cor. 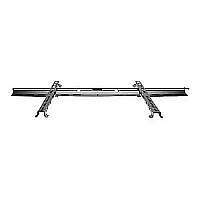 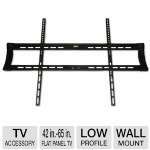 It comes with all necessary mounting hardware and supports weights of up to 77 lb.